Big win for lead paint plaintiffs today in Maryland Court of Appeals as the court ordered a new trial after a jury verdict for the landlord. 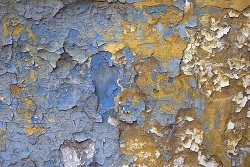 In Janay v. Wlikowsky, the landlords’ attorney questioned the Plaintiff’s grandmother as to whether she had ever notified the landlord about flaking and peeling paint in Barksdale’s home. In spite of the fact that they do not point to the grandmother or any “contributory negligence” on the part of the family (not that there can be contrib but you get the idea), the landlords’ attorney sought and got a jury instruction indicating that a person’s failure to report flaking paint to the landlord is evidence of negligence. Of course, the grandmother’s negligence would not be attributable to the child anyway because she could be a substantial contributing cause to the harm and the child could still recover against the landlord. After a defense verdict, the Maryland Court of Special Appeals agreed that this is a flawed jury instruction. But the CSA affirmed the trial court’s verdict because the error was found to be harmless. 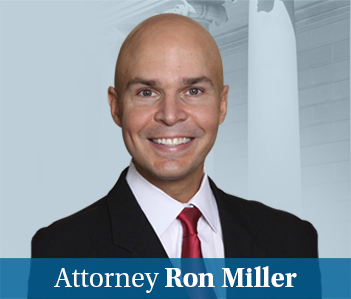 The Maryland Court of Appeals rejected Plaintiff’s lead paint attorneys’ theories that a presumption of prejudice should be afforded to lead poisoned children and their contention that a defective jury instruction by definition implicates due process. (Both parties presented novel but rejected theories. The defense argued that it somehow mattered that the landlord’s lawyer did not argue the grandmother’s negligence in closing.) The court listened to these arguments but did find that under these facts, the error is not harmless. I can’t think that was a hard call. The jury’s thinking they can blame the grandmother creates a whole new lens to look at the case, no matter how they find. It is easy to infer in a case like this that Plaintiff’s attorney did not have the jury. Reading between the lines, I’d be willing to bet this jury would have given a defense verdict even without the error. But it is important to remember this is a matter of speculation. Maryland Rule 5-606 strictly limits a court’s ability to inquire post-verdict into “the sworn juror’s mental processes in connection with the verdict.” So you can’t “unbake” the jury verdict by asking them “Hey, would this have made a difference?” There will never be tangible proof of prejudice because we cannot read the minds of the jurors. So what standard do we use? The court followed Frye v. Carter in concluding that the test is not what I or anyone else would be willing to “bet” the jury would do. The standard requires more judgment, making prejudicial those jury instructions which are “misleading” and “distracting,” and “permit the jury to speculate about improper issues (such as grandmother’s negligence in a lead paint case) which may be dispositive. Said another way, the standard is whether it was possible and probable that the jury relied on the improper instruction as a basis for its verdict. Not “the” basis” but “a” basis. This case also stands for the old “watch what you wish for” adage. I’m sure Frank thinks he had the jury regardless of the jury instruction. Sometimes, we shoot for the moon but the moon can get our victory reversed. If we think we have the case won, we really avoid anything that an appellate court could latch on to. I was trying a case last year and arguing the nuances of which lines of defendant’s expert could be admitted at trial. Finally, I realized… who really cares? Why take a winning case and give the defendant a chance to learn something new and try it again? You can read the full opinion in Janay v. Wlikowsky here.